We rely on friends and family a great deal. For example, we often turn to our own parents through this process asking for their insights, accepting assistance with the day-to-day, and embracing their love for our boys. We also know that many grandparents don’t feel like they can fully jump into their grandchild’s life, be it because or geographical distance, feeling they don’t fully understand the diagnosis, or they are afraid of saying or doing the wrong thing. The good news is I have also heard many success stories of these relationships growing and thriving with some simple communication and planning. Sometimes knowing the language of the experience of a special needs family can help bridge the gap and bring together that grandparent/grandchild relationship. In this article, we will touch on some of the more practical topics, financial and legal considerations, that families with a member that has special needs might be navigating. 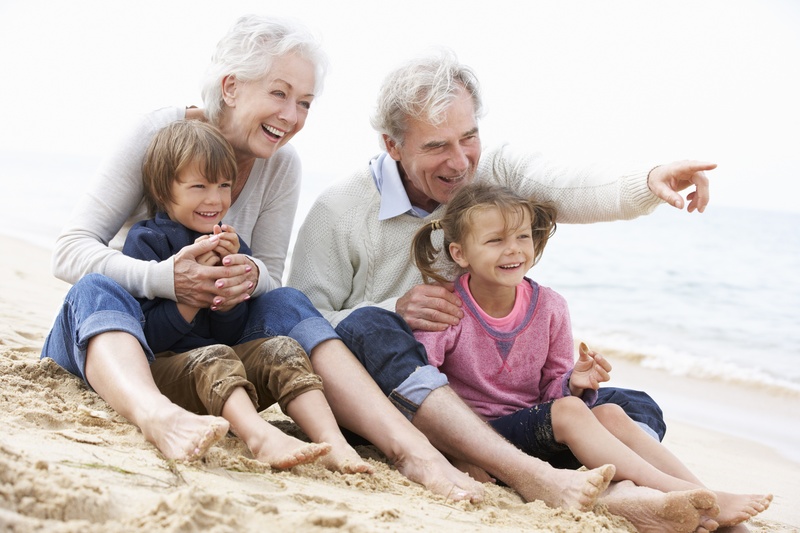 As a grandparent, being familiar with these issues can help bring you into the “inner circle” of planning for your grandchild and can aid in making your own decisions when it comes to estate planning. It’s always a huge benefit when families with a child that has special needs have a support system that’s stable and steadfast. Grandparents likely want to do what they can to provide help and love, but may not know how or where they are needed. That support may mean babysitting or helping around the house—or including a special needs child as a beneficiary of financial accounts or assets. Whether it’s your children or you as a grandparent, family members need to recognize a few important factors before creating any legal and financial documents. 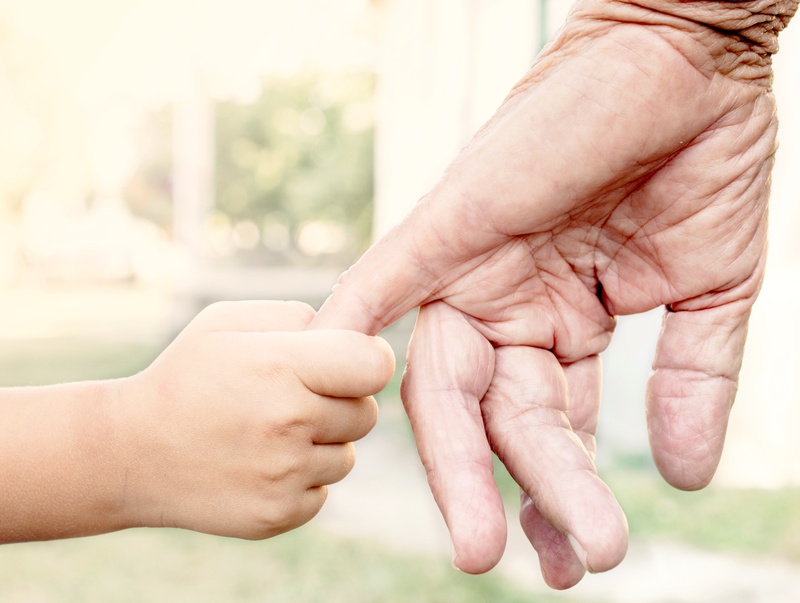 Here are some considerations for grandparents and extended family when setting up financial or estate plans that include a special needs child. A Letter of Intent, or LOI, specifies the family’s wishes—and hopefully your grandchild’s wishes if he or she is able to communicate them—regarding what an ideal life would look like. This document includes relevant information on your grandchild’s preferences, history, or habits that would be crucial for a future caretaker or family member serving in a supportive role for your adult grandchild to know. Ideally, your grandchild will be involved in the discussions about what should go into the letter of intent. It’s best to think of this while drafting your LOI: If an individual or family other than you or your child’s current immediate family were to provide care in the future, what would your grandchild want that person to know? What are their interests? What, if any, social connections do they want to maintain and nurture? What kind of foods do they like? Where will they live? If they are able, what type of employment would they enjoy? As you can imagine, having a grandparent involved in these discussions would be very beneficial. In addition to adding another point of view to the brainstorming process, it allows you as a grandparent to learn a great deal about your grandchild. A good LOI goes into great detail about the individual and is an ever-changing, dynamic document which means as an involved party to the process; you’ll know all about the changes and evolution of your grandchild’s life. This will also be the time when you can speak up as to your willingness or unwillingness to take on specific responsibilities. You can decide what part, if any, you want to be involved in any legal decisions such as custody, handling financial assets, or providing care upon parental death. It’s okay if you are not comfortable volunteering to fill individual roles in the life of your grandchild with special needs. Some of these functions can be quite difficult and may require particular expertise that you do not have. Often, families find a more successful solution when they outsource some of the more intensive tasks to outside professionals rather than family members. So communicate first. You can always find a way to be involved at your comfort level. An LOI can name responsible parties for specific aspects of your child’s care—from providing a place to live to who will drive him or her to the doctor. No matter how much support a family has with the care of their child with special needs, there’s likely to be hefty costs involved. Between therapies, medications, special diets if necessary, and in the later years, housing and necessary living costs, the expense can add up quickly. Things can often be simplified for a family, including extended family such as grandparents, by incorporating a Special Needs Trust (SNT) into the planning process. This can help alleviate the financial strain on all members of the family. First-party trusts are those funded by money received directly by the beneficiary, through an inheritance settlement, or another source. Family members or insurance policies set up by others can fund third-party trusts. Family members who have cash available can contribute to a third-party trust. Regardless of which type of trust you set up, it’s always important to keep in mind what allowances and restrictions come with each. The reason a special needs trust is such a beneficial financial planning tool is partially because it ensures your grandchild can access assets you or other friends and family leave behind without impacting your grandchild’s ability to receive government benefits. Well-intentioned family members and loved ones can determine a loss of government benefits if too much money is given directly to a special needs child due to income limits for Social Security Income (SSI). Your grandchild can still receive Medicaid and SSI in addition to any money left in a specially structured trust, however. There are many of factors to consider when planning for the lifelong needs of your grandchild, and it’s easy to become overwhelmed by the process. Take a deep breath. This is a marathon, not a sprint. It needn’t be a rushed process and with a supportive team in place, your grandchild can have the opportunity to live his or her life to their fullest potential. It’s important to note that your family does not need to handle this alone. In addition to supporting the open lines of communication with all family members who want to contribute their time and other means of support for your grandchild, your family can talk to a financial planner and an estate or family law attorney who can offer the specific professional expertise in these matters. Take the time to research and seek out a professional who specializes in serving special needs families, such as one that belongs to the Academy of Special Needs Planners, and understand the nuances around benefits, specific trusts, and knowledge of available community resources. These professionals can help your family make sure they are maximizing benefits available while strategically setting up funding that will help your grandchild receive the care he or she needs. For more information about FamilyVest and our services for families with special needs, please visit our website.